Home » Blog » Career options for a fine arts degree, what you want to become? Want to pursue a fine arts degree? 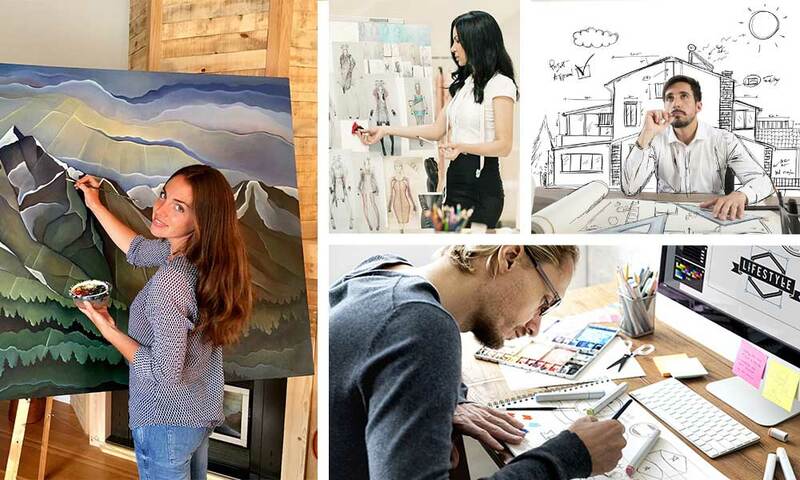 A Career in fine arts Degree is diverse and varied. Not all graduates in fine arts get into fine arts only, but into applied streams or multiple academic backgrounds. However, if you are keen on choosing a creative path that is highly relevant to your degree or any specialization, this article might help you provide insight into the world of fine arts and its career options. A fine arts degree is one of the most competitive degrees one can find in any university. The degree encompasses teaching about a wide range of many disciplines within the vast domain of Fine Arts. The theoretical knowledge along with its practical application in fine arts are taught to students for better understanding and choosing a career in fine arts. The duration of the courses in fine arts degree may vary with specializations based on the choice of career in fine arts, or universities. Most universities require individuals to have sound knowledge about the skills and techniques involved in Fine arts degree courses. It helps in better understanding of the choice of career in fine arts. A specialisation on your subject of interest in degree can guarantee you a better understanding of the subject. It builds your skills necessary for the particular domain. But what after Fine Arts degree? A fine artist after his completion of degree will be exposed to a highly competitive environment, for a permanent position to their choice of interest. With a great portfolio and a strong foundation in fine arts , an individual can excel in his path to a creative future in his desired domain. Perhaps one of the most sought after fine arts careers, it requires dedication and talent to be a Fine artist. A highly competitive path that will require you to go beyond your comfort level and get yourself known. Illustrators use their creativity to come up with pictorial representations to depict stories and ideas. Often working as freelancers for multiple clients, they are on high demand in today’s world. A postgraduate degree in fine arts, specializing in illustration will definitely add a feather to your cap and give you an edge over your competitors. If you enjoy carving from various materials, and have excellent artistic abilities and skills with great imagination then this career is absolutely for you. It is necessary to have a strong skill set and thorough knowledge in order to succeed in their career. Animators develop frames through multiple images and sequence them together to form an animated version. This is another competitive career, requiring strong technical skills and artistic talent with precision and detailing. A graphic designer comes up with creative ideas, to be implemented on appropriate media for meeting client needs. They are responsible for creating design solutions that have an impact with the viewers. Specialisation in design during your degree can help kickstart your career as a graphic designer. A fine arts degree with basic or advanced coursework in fashion design can yield a great career. A good portfolio and some basic coursework along with sheer determination and hard work shall benefit your career in the long run. 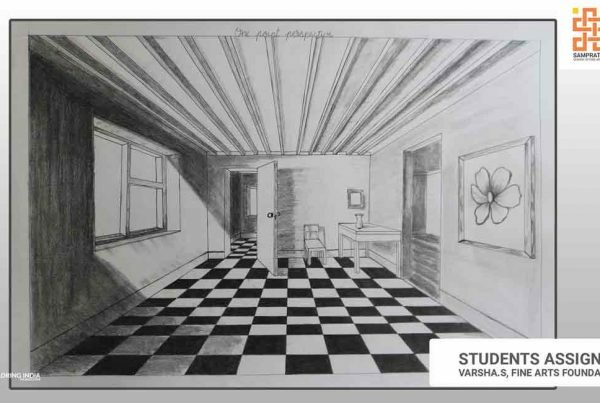 A bachelor of fine arts degree under Architecture will prepare an individual to step into the field of architecture. A firm grasp on architecture design and conceptualization are key requirements in this field. 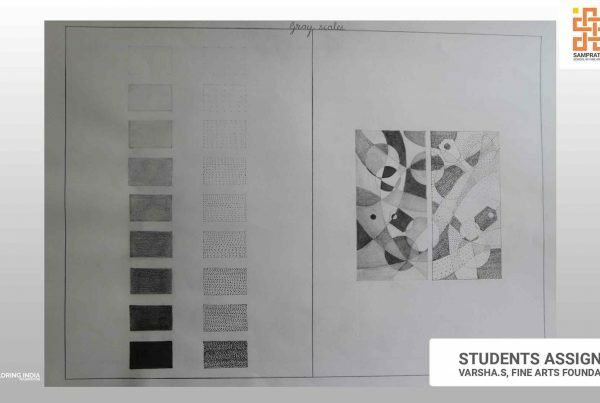 With an addition of specialization in Interior designing, a student can pursue a career and become an interior analyst and designer. Keen observational skills, great conceptualization and application skills are required in this field. With a double degree in education under fine arts, one can help students discover their journey through fine arts and guide them towards building a successful career. These are just the basic set of careers in fine arts that are available. A wide number of other career options are available by pairing your degree with another discipline.It increases your credibility and avail greater career options in areas that are indirectly related to fine arts. So what is your choice of career in fine arts after degree?